Like many celebrities who wish to keep their love lives behind the curtain, American TV presenter, author, and producer Josh Gates has managed to lead a very private life despite his popularity. Josh who is also an explorer and adventurer, is best known for sharing his discoveries with the rest of the world. One of the major documentaries that led to his rise to fame was Destination Truth which premiered in 2007, on the Syfy Channel. A similar series he currently hosts is the Expedition Unknown which premiered on the Travel Channel on January 8, 2015. Josh has made many more documentaries of all his trips and he has been generous enough to share it. But while he continues to make a name for himself via his multi-career choices, his fans seem more interested in his personal life. Here is more to know about the TV presenter and versatile explorer. Josh was born on August 10, 1977, in the Manchester-by-the-Sea, Massachusetts. Although information about his early years and education remains hidden, it is confirmed that he graduated from Boston’s Tufts University where he studied archaeology and drama. He was even among the team from the University of Maryland who traveled to Israel to perform archaeological excavations of Caesarea Maritima in Isreal from 1996 to 1998. Gates’ passion for adventure was sparked father’s career as a deep sea diver. Gates recalls how he travels with his parents to meet his mother’s family in the UK. He also watched as his father globetrots to different places in the world and his experiences with his father triggered his love for adventure which he now enjoys its benefits. Josh has not only established himself as a certified Scuba diver, and a mountain climber but also one who has toured over a hundred countries and has completed trips up to Argentina’s Mt. Aconcagua in the Argentine Andes mountain range and Africa’s Mt Kilimanjaro. Josh is a member of The Explorer’s Club, an international organization that encourages scientific exploration since 1904. As a TV presenter, Josh Gates is known for hosting two shows namely Destination Truth, a Syfy-aired program, and Expedition Unknown where he makes documentary series. He has also appeared in a couple of TV shows like the Ghost Hunters and Facts or Faked: Paranormal Files, Truly Famous, Borrow & Deal, as well as ESPN’s Beg. His book titled ‘Destination Truth: Memoirs of a Monster Hunter’ is also being publicized as among the books that investigate frightening myths and terrifying paranormal phenomena he encounters during his expedition. With such a wealth of talent and career experience as an explorer, it is natural for the American citizen to garner so much for himself in terms of annual earnings and Net worth. The Massachusetts native is said to have garnered as much as $3 million as net worth from his career as a TV presenter and explorer. Josh Gates’ travel channel is classified as among the world leading travel media brands with over 83 million U.S homes viewing it. Who is Josh Gates Married to as Wife? 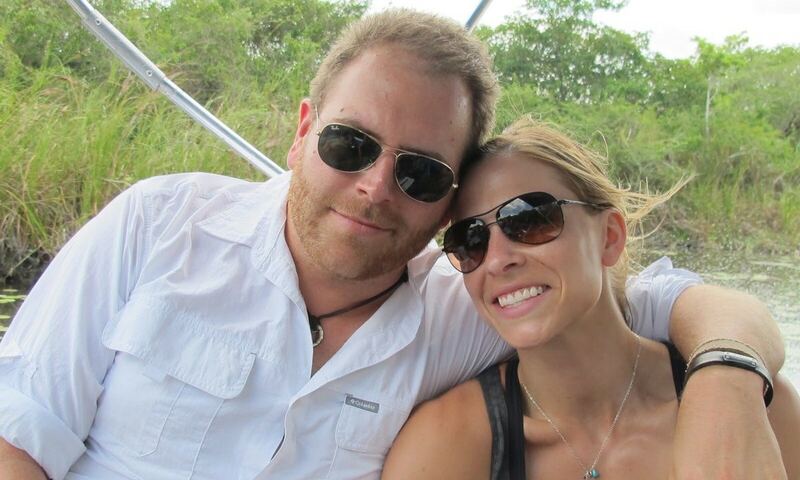 The TV personality, Josh Gates is married to Hallie Gnatovich, his longtime girlfriend. The two met for the first time during the production of Destination Truth of which she was among its crew. Hallie also starred in eight episodes of the series second season. She worked with Josh as a researcher even though much of her work in the series was behind the camera. The media personality and his wife Hallie are blessed with a son who they named Owen Gates. Owen was born on February 12, 2016. One of the most memorable periods of Gates’ Destination Truth was the episode where Hallie put a call across to him via satellite phone to break the news of her pregnancy and Josh who was at the time very emotional broke the news to the media. This made Owen even a celebrity before his birth. Josh who is born with the star sign Leo, is 6 feet 2 inches (1.88 m) tall. His body weight and other measurements like his chest, biceps, and waist are yet to be disclosed publicly.